Having a safety plan is helpful for women staying in abusive relationships, as they are leaving and after they have left. Women are at the greatest risk of serious injury or harm around the time of separation. While your ex-partner’s behaviour is unpredictable and beyond your control, you can make a safety plan to help increase your safety and reduce your risks. Never minimize the safety concerns you may have. When you make a safety plan, it is important to remember that there is more involved than just physical safety. It is also important to protect yourself emotionally. Creating a safety plan can be overwhelming. It is very helpful to work with a women’s legal advocate who can assist you with developing your plan as well as provide you with support and referrals to other services you might need, such as financial and/or legal assistance. 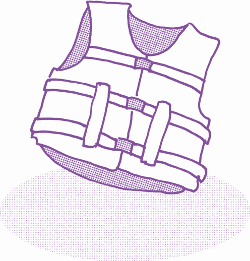 A safety plan is an individualized plan that reduces the risks of further abuse for you and your children. It should also include strategies for basic needs like income, housing, health care, food, child care and education for the children. The details of your plan will depend on your situation – whether you are living with or separated from your ex-partner, whether you plan to leave or to stay with him, your financial resources, your housing options, whether or not you have children, and so on. The plan will also be affected by the resources that are available to you. Your plan must change as your circumstances change. You should review and revise it when there are changes in your life in order to make sure that it still meets your needs.